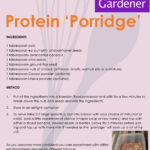 If you’re trying to reduce the amount of grains in your diet, this protein breakfast ‘porridge’ is just the thing. Once you’re comfortable with the basic recipe play with the ingredients and make different flavours. 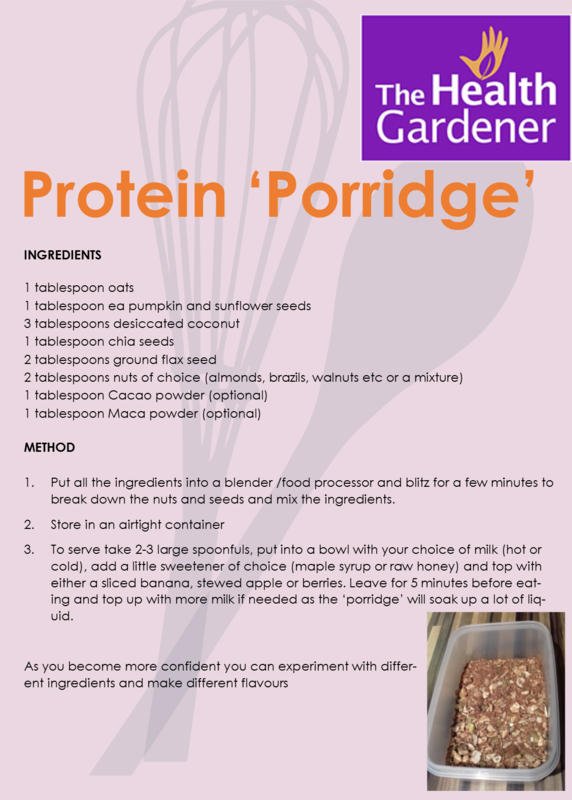 The nuts and seeds in this recipe provide plenty of good fats and protein to give you a good start to the day and keep you feeling full until lunchtime.